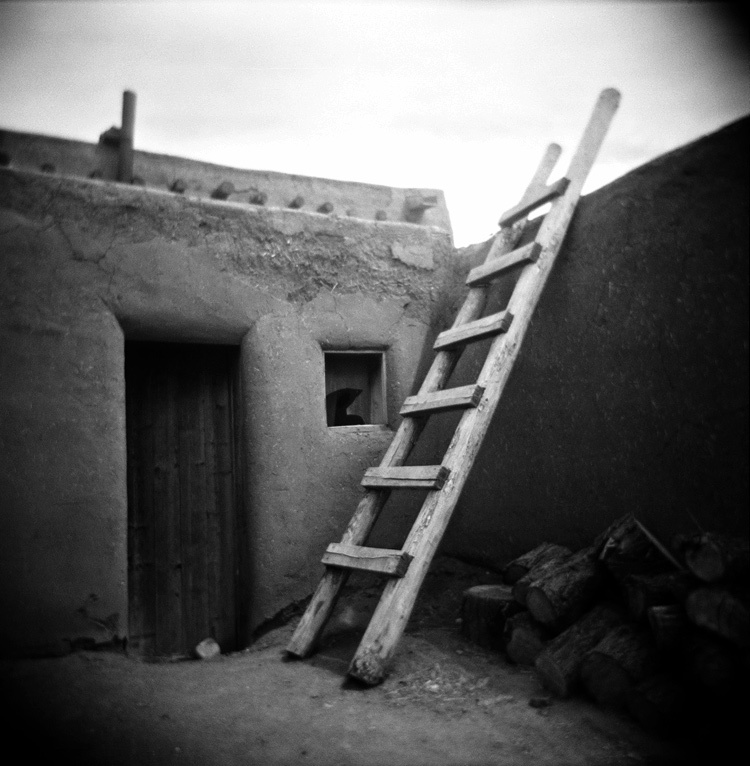 Taken at an Indian Pueblo in New Mexico, Holga with Ilford Delta 100. Love the mood you've captured/created..the sense of abandonment. And – wonderfully composed. Nice lines. Great mood, great composition–very nice shot! Nice softness. Is that the film or the processing?? the way out? cool photo! Fascinating structure, like the light and shadows that create a certain mood here. Excellent shot! A perfect camera for this scene. Add a deep warming filter and you got a true winner. But I like it this way also! It is like a scene from a western set movie.